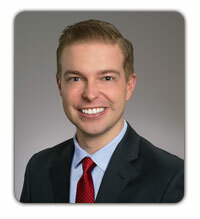 Albert Diehl III, MD, joined Atlanta Breast Care in September 2018. He has a stellar academic background with a commitment to educational excellence and humanitarian issues. His accomplished surgical skills and wonderful bedside manner make him a great addition to our practice. He is board certified by the American Board of Surgery and a member of the American Society of Breast Surgeons. Dr. Diehl earned his undergraduate degree from University of Illinois – Urbana Champaign. He earned his medical degree from the Emory University School of Medicine, and continued on to complete his internship and residency in general surgery at Emory, as well as a fellowship in breast oncology. Dr. Diehl grew up in a small town in Southern Illinois, where his family ran a strawberry farm. As an Atlanta resident, he enjoys exploring the vibrant Atlanta restaurant scene, and traveling the world.